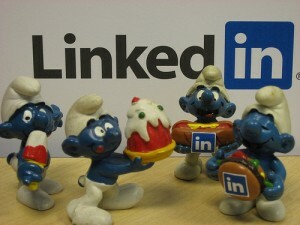 LinkedIn is the professional social network. At least that’s how it styles itself and how it is generally perceived. It’s not for inane status updates about what you had for breakfast, links to cracked.com or photos of your latest debauched night out. It’s for establishing business contacts, networking with like-minded business professionals and improving business contacts. But, as social becomes ever more important in all online interactions, it seems inevitable that LinkedIn would eventually adopt some of Facebook’s more casual interfaces. On 6 October, LinkedIn announced that it would allow company status updates, ostensibly to allow companies more opportunities to show what lies behind the facade. This plays into the hands of many companies who like the professionalism and credibility of networking on LinkedIn, but want to combine it with the easy communication offered by Facebook. There is one important consideration for companies to bear in mind, however, and that is that LinkedIn still aims to maintain its professional standards. You’re unlikely to find consumers idling away their hours on LinkedIn. People on LinkedIn are there for a purpose and that purpose has to do with building a professional reputation, linking with fellow business professionals and generally doing what they can to further their careers. They are not interested in seeing photos from your team building day. They don’t care that your financial managing director has just become a mom for the second time or that you’re running a one month special on foot cream. Keep that information for Facebook, Twitter and the company blog. Bearing this in mind, you’ll want to keep your status updates as business-like as possible. This means that you should stick to job opportunities, upwardly mobile employees, upcoming awards dinners and meet and greet functions and seminars, and the launch of new products and media campaigns. Like Facebook, LinkedIn’s new updates will come with features that allow your followers to “like” statuses, comment on them and share them. Since LinkedIn launched its company follow feature about a year and a half ago, over 2 million companies have created pages. According to LinkedIn, approximately 50% of its users follow companies. So, if used correctly, the new status updates could be of huge benefit to companies, not only in terms of marketing and brand enhancement but also in terms of link building. Consider that LinkedIn is incorporating other changes to make it easier for companies to reach their target marketing (LinkedIn ads), and you’ll see that, as a company, you can’t afford not to have a LinkedIn account.